When Lich King expansion came, I decided that I wanted my shaman to be my main, and parked Class away for a long time. At one point I got really fed up with raiding back then, and instead being a dramaqueen, I simply said "I'm sorry, I need a break" to the raidteam. I decided to roll a horde character for the fun and laughs, since I had not really played horde before. 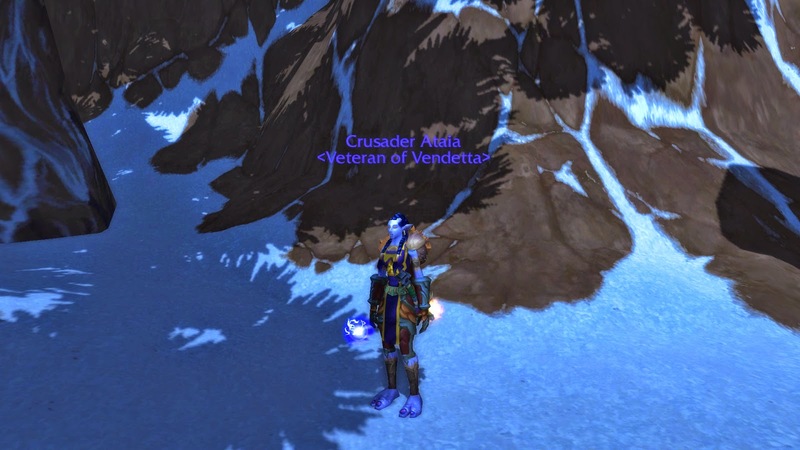 In "iC" I first played shadow-priest as main, but swapped later to resto-shaman (named Ataia, aka Two-Toes for laughs on TS, she was "twoll mon" thus only have two toes! :D). We cleared ICC, unfortunately I was on holiday when they killed LK, after that kill we did quite some heroic modes before the raid-team collapsed (our maintank X-realmed on us among other things). Filah was still my main during Cataclysm, I applied to a 25-man progress-guild named "Wasted" and met some totally awesome folks there, that I still keep in touch with. With Wasted I cleared raids while they were current and also did quite some heroicmodes, but when Dragon Soul hit the guild started loosing a lot of people, and many were not happy with current state of raids. At that time I had some issues with my shoulder that I had to do something about, and raiding 4 nights a week did not help at all, so when the team scaled down to 10 man, I stopped raiding with them. In the end of Cata I had more and more contact with the "old guild" that I started raiding with all those years ago, "The Phoenix Reborn", I saw that a lot of people I knew from earlier days had come back to the guild because their lives did not work well with 4 nights a week raiding, and most guilds at the time were 4 raids a week-guilds. So I joined them for some achievement runs in DS 1 night a week, and I had a lot of fun! So I decided to say yes when I was asked to come back to "the team" for MoP. 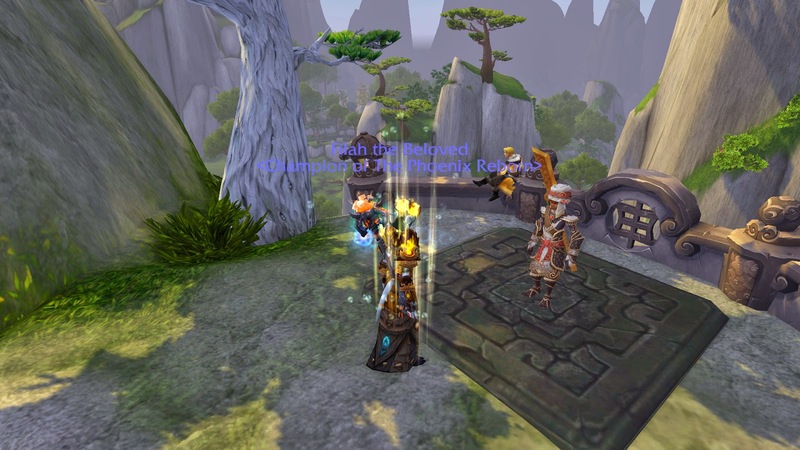 Only thing was, they had already 2 resto shamans, so the GM & RL asked me if I would consider rolling a monk for the team. So I did. 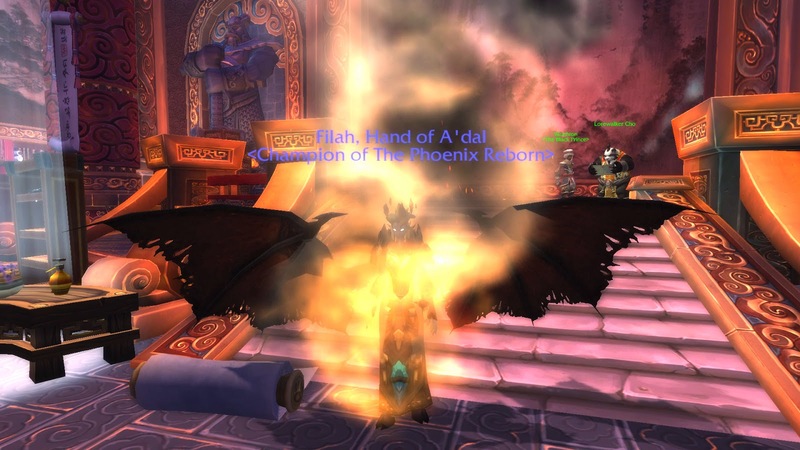 During MoP I leveled Filah up slowly. While questing I died a lot, even if I had a lot of DS heroic gear, and I was generally annoyed with her as elemental. So when my rage had calmed down, I decided to try out enhancement spec and things automatically went A LOT smoother (have no idea why but well :D) and she finally got to lvl 90. I started with the stone-collections, but hit the wall at the 6k Valor-capping, so I parked her for quite a long time. It was only the last few months or so that I started playing her again, mainly in Flex raids.